Meet Rachael, an aspiring Veterinarian. I just love her initiative. 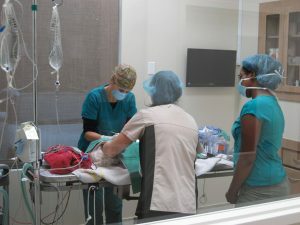 Friday was a PA Day for most students but instead of staying home and enjoying the day off, Rachael spent the morning with us to observe some surgeries. She is a bright, well-spoken, outgoing person and I am sure she will be a great veterinarian. We enjoyed having her and we wish her all the best.